Official pictures of this upcoming toy/kit are now online. Each lion will be packaged in its own box with weapons and a stick of chewing gum. 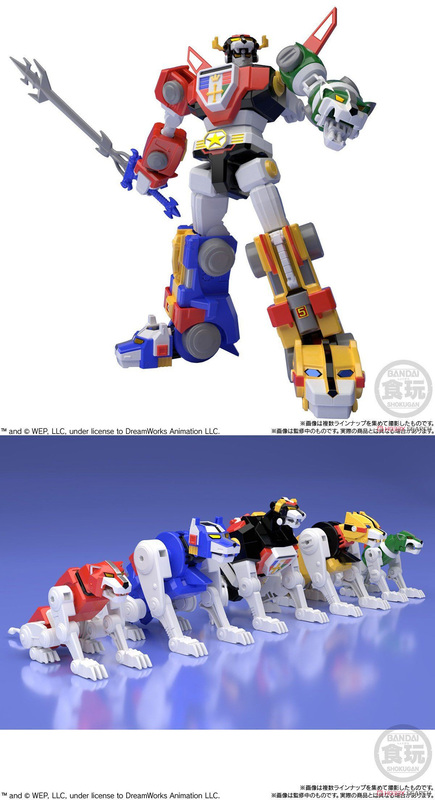 They can then be combined into this 18cm tall Super Robot. The proportions of the individual lions look off to me but Go-Lion itself looks brilliant. And it seems to be quite poseable too. Amazing! Even better is that it’s probably the cheapest route you can take right now to own a combining Go-Lion. Coming in August @ 5,292 JPY. More pictures on Hobbysearch.